This futuristic toothbrush takes just ten seconds to clean your teeth. 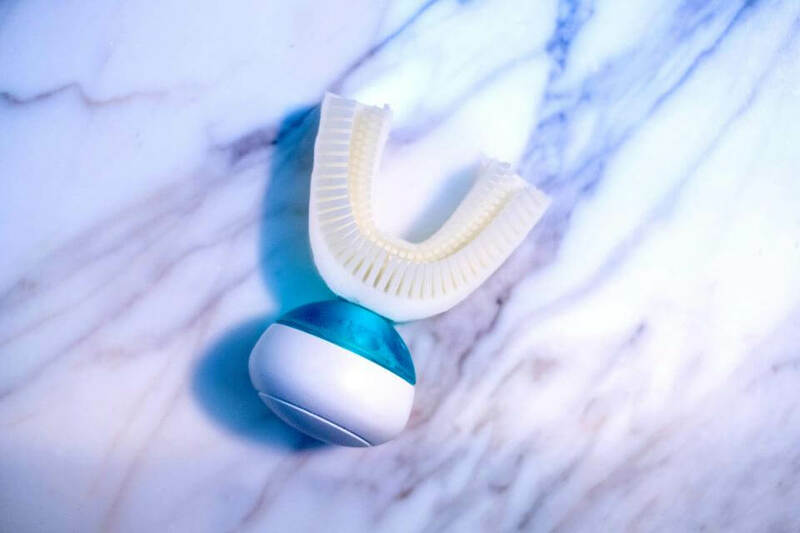 The Amabrush, which looks like a mouth guard with bristles, dispenses toothpaste and vibrates to clean every tooth, its makers claim. They also claim it removes all traces of plaque and could save you save “up to 100 days of your life” if you are brushing for the recommended three minutes. The device is simple to use. All you need to do is put the toothbrush in your mouth and press the “start” button to begin the cleaning process. The Amabrush costs £70 and is available for pre-order now, ready for it to hit your bathroom in December. It uses its own toothpaste capsules that cost £2.60 for a packet and last about a month. The creators say the device is made from bacteria-resistant silicone, making it cleaner than your average toothbrush. The device features 3D bristles on both sides for the best possible clean. But the material is soft enough that it won’t damage your gums and lead to gum disease. They added that the Amabrush sends out strong vibrations and follows a set pattern to clean the whole tooth. They said on Kickstarter: “Even in 10 seconds, every tooth surface is cleaned longer compared with common toothbrushes. They said that the Amabrush is not meant to be better than a normal toothbrush, but that the way most of us use a normal toothbrush is wrong. Using an Amabrush would ensure that we are brushing our teeth properly and thoroughly every time. But the toothbrush doesn’t last forever. The mouthpiece needs to be replaced every two to three months for it to remain effective, the creators added. Each replacement mouthpiece will cost about £5.